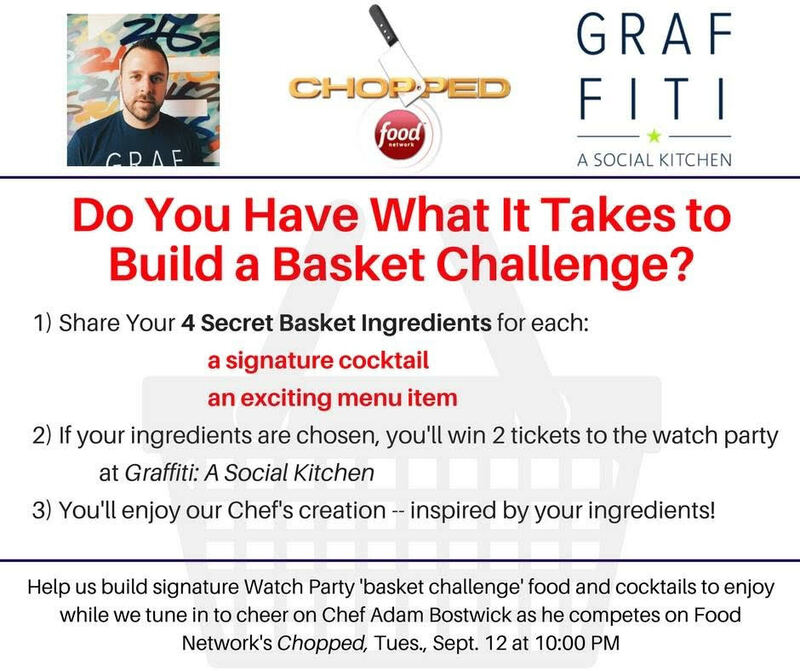 Join Cleveland for a Watch Party as my buddy Chef Adam Bostwick of Graffiti: A Social Kitchen and Cork & Cleaver Social Kitchen as he competes on Food Network's Chopped! You can also get involved in their contest to win two tickets to the Watch Party by building a signature cocktail and menu item. Follow along on their Facebook to participate in the contest. It ends on Thursday. 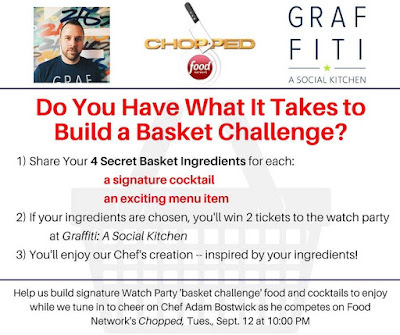 Cheer on our city's own Chef Adam Bostwick as he competes on Food Network's Chopped. Tune in with as the episode airs on Tuesday, September 12th at 10:00 pm ET/PT. The official Watch Party starts at 7:30pm and runs 'til ??. 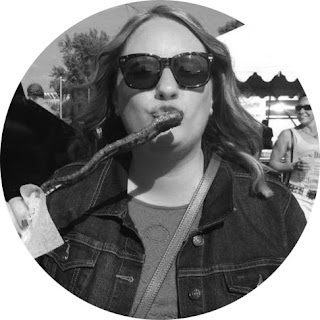 Tickets are $20 per person, and it includes: Food inspired by secret basket ingredients, secret basket-themed cocktail and a parting gift! Place your ticket order online at Eventbrite or via phone at 216-651-6969. Tickets are limited and they will sell out. Or, you can win two tickets here! I don't know about you, but I love seeing Cleveland chefs compete on a national stage. The word is continuing to spread about what an amazing culinary scene we have here. and these shows do make a difference. I'm even more excited because I get to call this guy a friend, and I'm super excited for him. Come watch with me! Go, Adam! Disclosure: I was provided with four tickets in exchange for this post. All opinions stated are 100% my own. I would add anchovies because I don't like them and I'd be intrigued by what they can do with them! Pickled pigs feet - if someone can make those taste good...they rock. I'd put sweet corn in the basket. I can't get enough of it and I'd love to see some other creative ways to eat it.